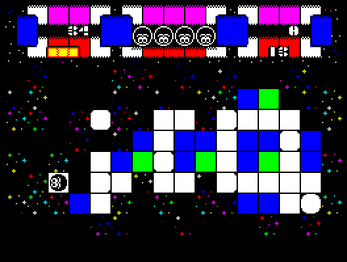 Beware most tiles will disappear once Moosh has passed over them. 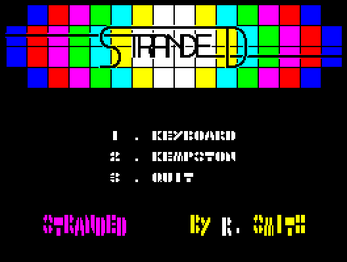 Stranded was my first 'proper' machine-code game for the Spectrum, back in the late 1980's when I was still at school. Although I'd done POKEs for magazines, and some nice sprite routines, this was what it was all leading up to. 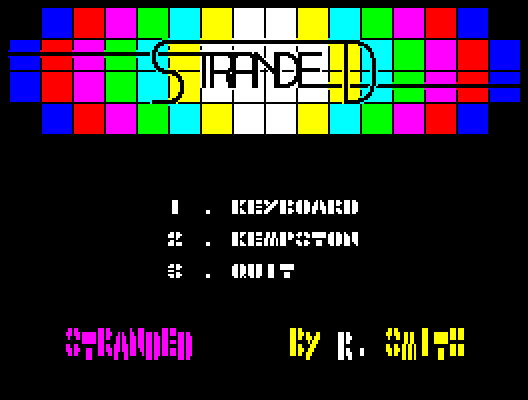 Written using the McGraw-Hill assembler, which came along with a book teaching Z80, it proved to me that I could, in a small way, write games like Ultimate did where character movement was pixel-smooth and graphics not limited to the 21 UDGs available from BASIC. 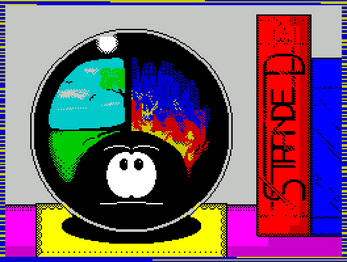 Looking back at it development was a nightmare - all the code was stored in separate files on tape, and that keyboard really wasn't good for typing on, whatever Sir Clive might have said at the time!